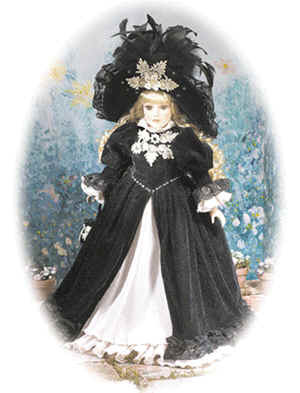 Welcome to our page of "Collectible Porcelain Dolls". 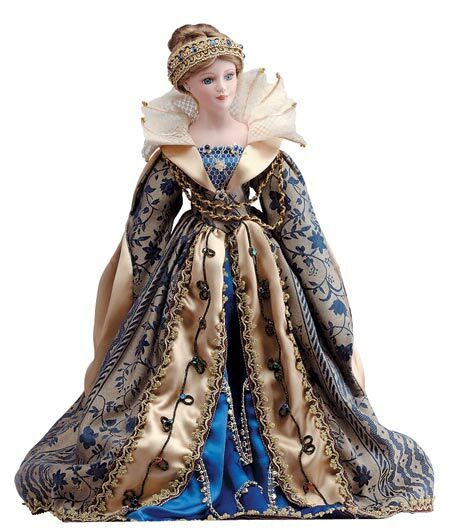 An example of dollmaking at it's finest. 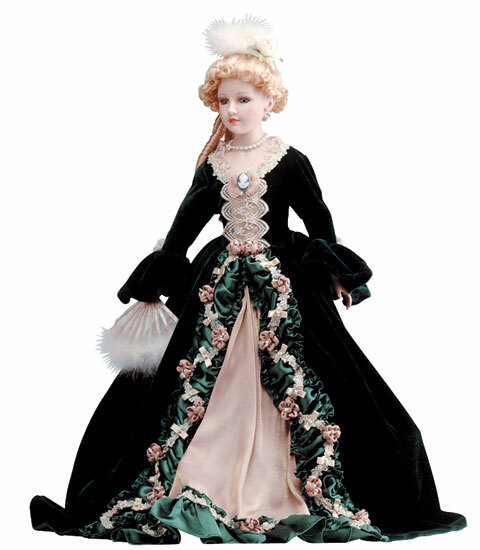 Quality and distinction are the hallmarks of this elegant line of collectible dolls, crafted by artisans with great care and attention to detail. These extra ordinary figures are certain to be handed for generations. Each doll comes with a certificate of authenticity. Thank you and enjoy your visit. 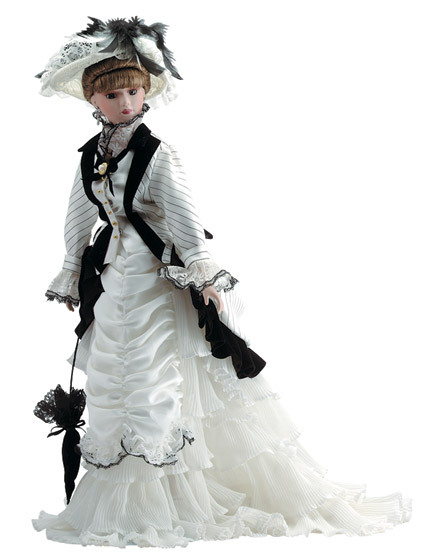 Below is our 4 pages of porcelain dolls. Just click any of the links that may interest you. With regal bearing, Queen Guinivere, oversees her kingdom while dressed in ornately designed robes. 22" tall, exclusive. 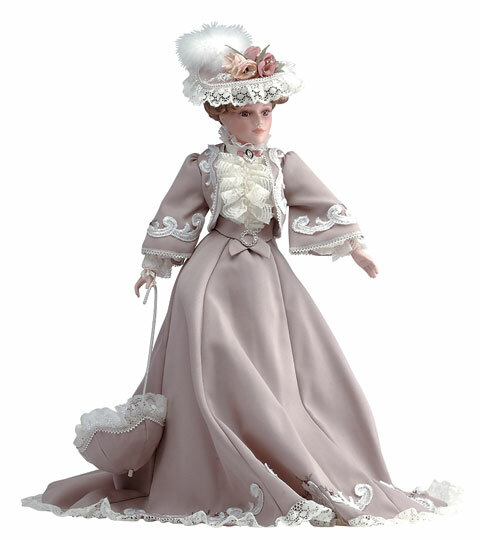 "Bethany" a vision in pink lace with a cabbage rose on her hat, she's set for a summer stroll,18" tall. In velveteen dress with floral accompaniments. 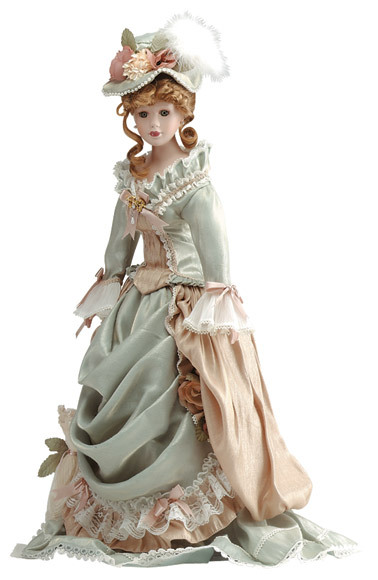 Antoinette is cloaked in the style of a century gone by. 22" tall, exclusive. "Felicity" in her blue-velvet-like frock with white paneled front and lace cuffs, is a dream walking. 18" tall. 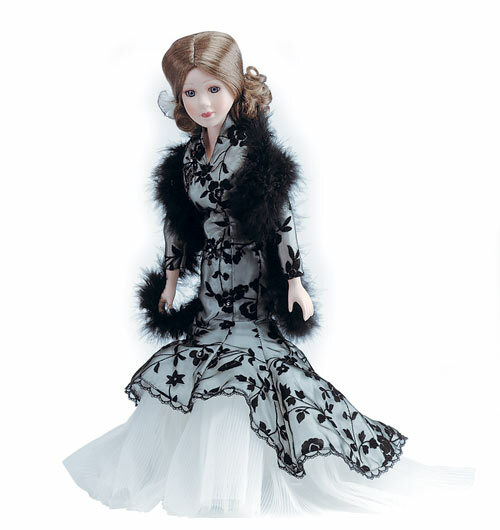 Eliza, dressed in black and white with a lace train and faux pearls, is ready to take in the races at Epsom Downs. 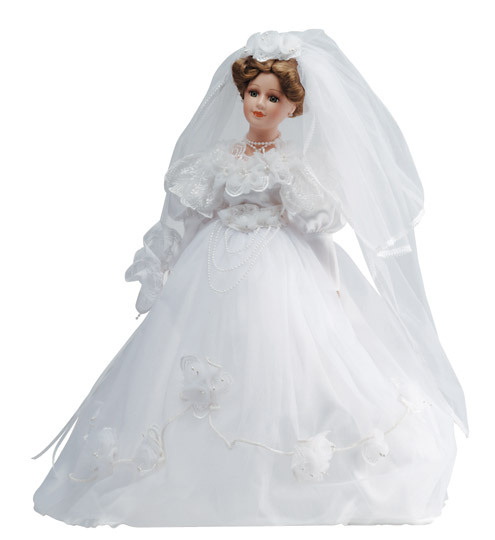 20" tall, exclusive. "Audrey" is elegant and dressed for an evening on the town. With feather headress and white, heavy lace detail work, her empire waist dress is a knock-out. 18" tall. 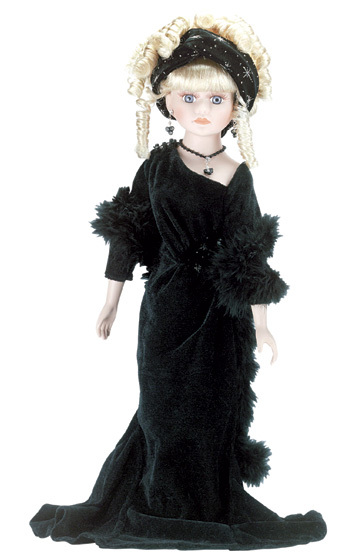 Dressed in the style of Mae West and Gloria Swanson, Dolly is an 18" tall porcelain beauty with a feather boa. Exclusive. Dressed in a light green bustle style dress with faux pearl accompaniments, Celeste is ready for a stroll down 5th Avenue. 22" tall, exclusive. Sarah, is a radiant bride in her white lace dress adorned with strings of faux pearls and flowers fashioned from delicate netting. Exclusive, 20" tall. 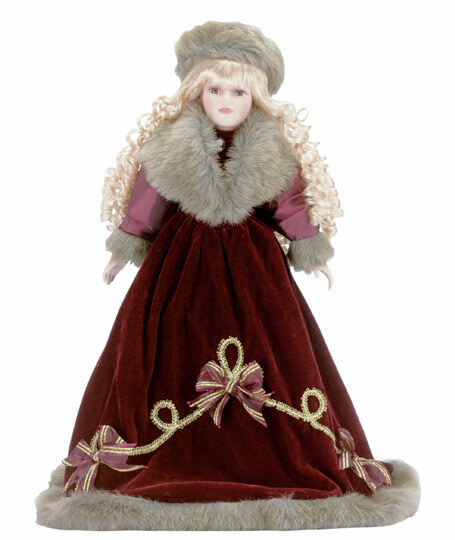 Wrapped in faux fur and deep red velveteen with gold braid ribbon, 18" porcelain Alexis, is a doll collector's dream. Exclusive.